It wasn’t going to be long before I picked up some of The Ordinary’s skincare. It’s been raved about so much on the blogosphere since the big release, so when I fancied a bit of a beauty haul on asos I had a look at what was still in stock and picked up the Azelaic Acid Suspension to brighten and even skintone, and the High Adherence Silicone Primer to use before applying my makeup. 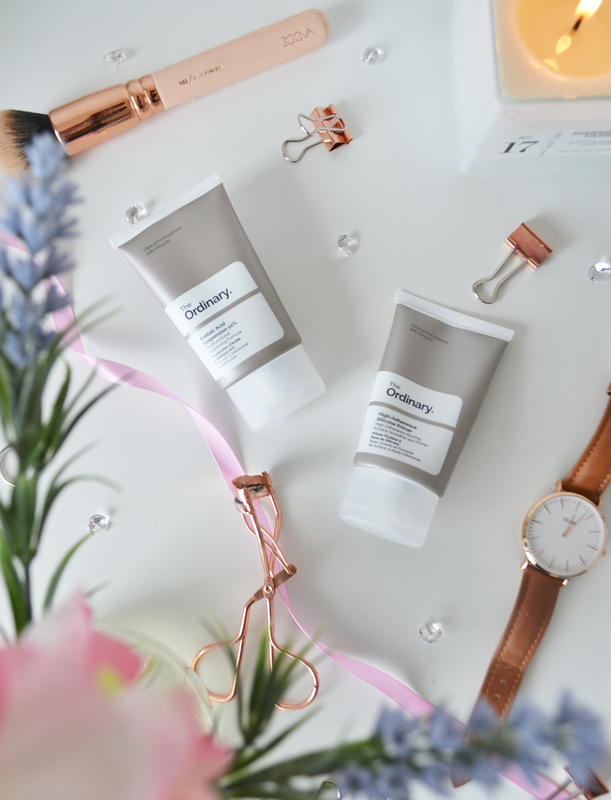 I’m sure you’ve heard of The Ordinary by now, but if you haven’t, The Ordinary are a company that strip back their products of unnecessary ingredients, scents and packaging to give us the cheapest products possible, while still (hopefully) doing their job! The Azelaic Acid Suspension 10% aims to brighten skin tone and even out texture and reduce the appearance of blemishes with applying it twice a day. I’ve been using this product before my moisturiser. In general, the formula is lovely and lightweight, feels nice on the skin and sinks in relatively quickly. I actually feel like I began to see results from using this, along with some other new products, fairly quickly. No, my breakouts didn’t dissappear, but the scarring faded sooner than usual, and the general appearance of my skin looked much better in just a matter of days! Again, this could be down to my mix up in skincare recently, but I do think this product had a little part to play in it! The second product, the high Adherence Silicon Primer claims to be a matte, hydrating and blurring primer. I am awful with applying primer before makeup, so I decided to give this a go to try and get me into using them more. I’m not quite as enthusiastic with this product, just because I couldn’t see any major differences using this gave me. The formula does feel very silicone-y, which I know some don’t like, but it did make my skin feel nice afterwards. Blur and make my makeup last longer? I’m not too sure. Giving these two products a go has confirmed my need to try more of The Ordinary products. The brand is super cheap and seems to do a good job. The only thing I am conscious of is how long theses products will last because they do come in small amounts, but going back to the price, this isn’t such a big issue as it may normally be! 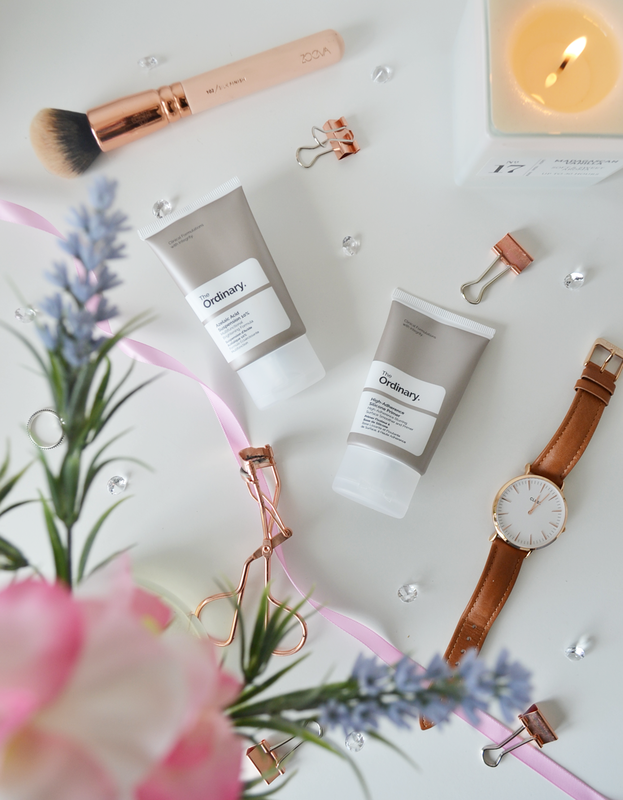 Have you tried any of The Ordinary products? What would you reccomend I try next?! P.S. I may be a bit M.I.A. for the next week or so, I’m popping off to Spain for a Uni Fieldtrip! But panic not, I have my usual Tuesday & Friday posts scheduled, give me some love on them for when I’m home! See my other skincare posts here.